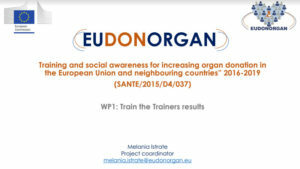 The main objective of the course is to support capacity-building efforts (training health care professionals and other key actors who will in turn be able to advocate for organ donation and train colleagues in their countries/regions/hospitals), with the overall objective to monitor and improve performance in the management of donated and transplanted organs. The course is addressed to a minimum of 94 participants from all the Member States of the European Union and neighbouring countries. They will include healthcare professionals, (transplant donor coordinators/key donation persons, personnel from emergency departments, intensive care units, postoperative and stroke wards) and other relevant actors able to promote and encourage effective donation (patient support groups, communication officers of national/regional authorities and of healthcare establishments, key opinion leaders, journalists in the field of health). Participants will reinforce their knowledge on the main aspects of living and deceased donation, will acquire useful information on quality control procedures and communication strategies, and will explore different educational techniques to maximize the outcomes of future awareness and training sessions on organ donation. The Competent Authorities of all Member States have been requested to propose their nominees according to the selection criteria facilitated (target groups, gender equity, equitable geographical distribution, etc.). Good knowledge of spoken and written English (minimum an intermediate level). Previous training in the field (TPM or other) highly recommended but not compulsory. 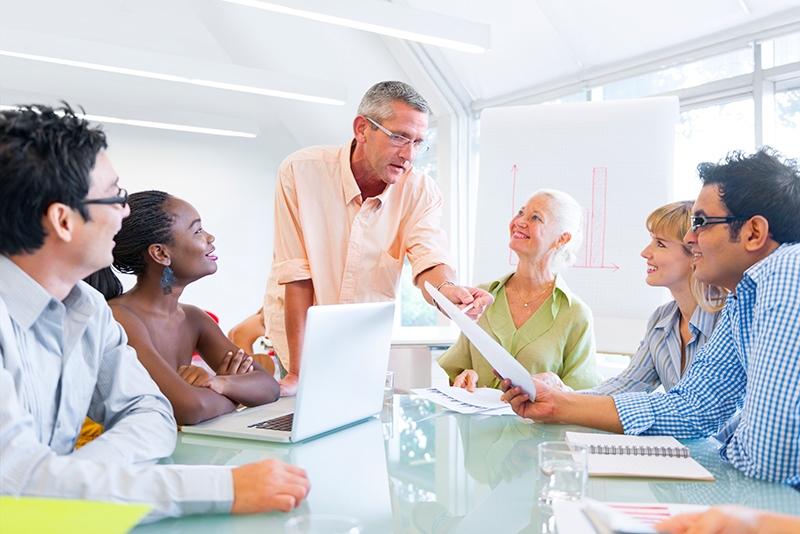 Experience as a trainer is a strong asset. Equitable age and geographical distribution. Intensive care units, emergency wards, neurosurgery & neuro-critical care personnel. Communication officers of national/regional authorities and of healthcare establishments. Journalists in the field of health. The documentation provided by all applicants (CVs, letters of motivations and letters of support from their organization and/or from the Competent Authorities) is being carefully evaluated and a pre-testing will be carried out. Moreover, interviews may be performed where necessary, to test fluency in English, commitment to join proactively the training program and willingness to support the organization of awareness-raising events in their country/region/hospital. The final pool of participants will be approved in collaboration with the Competent Authorities and the European Commission. There will be 10 places reserved to participants assigned by European patient associations. The selection procedure will close on May 30, 2017. The training pogram will employ a blended learning methodology and will be based on an active learning, constructivist approach, with a wide range of resources and game elements in order to engage participants and keep them motivated in their learning process. The training will include webinars, e-learning (via WebApp) and face to face sessions. Webinars aim at introducing the program objectives, topics and methodology. They will be organized on June 19-30, 2017. The e-learning training, to be carried out in July-August 2017, will follow two different pathways: one for health care professionals and another for non-healthcare professionals, in order to deliver a tailored message and meet the educational needs of our participants. The training program will end with a face to face session to be held in Barcelona on September 18-22, 2017. It will put into practice all the main topics introduced throughout the online training. The learning methodology will boost hands-on learning, networking, best practice exchange and will promote great interactivity in the learning environment created. Continuous evaluation of participants’ performance will be carried out and it will allow measuring the extent to which the objectives are achieved. Upon the successful completion of all components (online and face to face) participants will be certified. The program will be structured in modules that will contain specific objectives and competencies that participants will acquire throughout the training. Living donation; donation after brain death (DBD); donation after circulatory death (DCD); educational tips. To understand the different types of organ donation program; to facilitate participants with update information on living donation as a therapeutic alternative, ethical considerations and international recommendations; to gain knowledge on the different types of deceased donation, their main characteristics and world distribution; to gain sound knowledge on the main aspects of uncontrolled and controlled DCD; to gain valuable knowledge on teaching and learning strategies related to the topics of this module. The brain death organ donation process; the brain dead donor critical pathway; educational tips. To understand the process of organ donation, the different steps that have to be taken and the actors involved; to know the basic terminology of organ donation and understand the critical pathway; to gain deep knowledge on the steps for deceased organ donation, the actors involved in each process and the barriers to their correct implementation; to gain valuable knowledge on teaching and learning strategies related to the topics of this module. Breaking bad news; family interview for donation; educational tips. To get knowledge on communication methodologies required to break bad news; to get familiar with strategies used on how to request the consent for donation; to obtain a complete medical history and detect conditions or behaviours that might imply a risk for the recipient; to gain valuable knowledge on teaching and learning strategies related to the topics of this module. Kidney living donor; liver living donor; educational tips. To enable participants to learn how to screen a living donor and how to carry out short and long-term follow-up after donation with attention to physical and psycho-social well-being; to identify key factors for protecting the health and safety of living donors; to understand living donation in terms of communication, both to the families and to the broader public; to gain valuable knowledge on teaching and learning strategies related to the topics of this module. Tissue donation; cell donation; interlinks with organ donation; educational tips. To gain basic knowledge of the tissue and cell donation; to understand the types of tissues and cells that can be donated, their characteristics and selection process of the donors; to know the different uses and applications of donated tissues; to understand the procedures carried out from tissue donation to their transplantation; to understand the interlinks between tissue and cells donation with organ donation; to gain valuable knowledge on teaching and learning strategies related to the topics of this module. Applied quality management in organ, tissues and cells donation; guides to the quality and safety of organs and tissue for transplantation; educational tips. To understand how quality management applies in organ and tissue donation; to get familiar with methodologies already developed & implemented in EU; to gain valuable knowledge on teaching and learning strategies related to the topics of this module. Key elements in public education; advertising and social marketing; community based interventions; strategies to improve cooperation at different levels; the role of media in raising social awareness; social media as new communication channels to raise awareness; how to manage adverse publicity; educational tips. To understand key elements in public education; to understand the role of advertising and social marketing; to get familiar with the communication interaction, activities and tools developed at EU level; to acquire sound knowledge on the role of media and social media in social awareness; to learn how to manage adverse publicity; to gain valuable knowledge on teaching and learning strategies related to the topics of this module.